The decision to withdraw from the Iran nuclear deal has been met with widespread criticism given that it was Barack Obama’s flagship foreign affairs agreement and represented a rare consensus among the world’s great powers. From a nuclear non-proliferation perspective, the Joint Comprehensive Plan of Action (JCPOA) certainly has its merits. It achieved a partial ‘roll back’ of Iran’s nuclear program, increasing its ‘break-out time’ from an estimated three months to one year. It did so by placing limits on Tehran’s ability to enrich uranium and build up stockpiles of fissile material for at least 10, and up to 15, years. This included the dismantling of centrifuges, putting limits on the numbers of operating centrifuges, and imposing caps on the allowed level of uranium enrichment. As a result of the deal, the international community and International Atomic Energy Agency (IAEA) inspectors have become far more knowledgeable about Iran’s nuclear program, and are now better placed to detect any illegitimate activity than was the case before. Iran has to give IAEA inspectors access to any site within 24 days of a request, which is more than enough time to detect illicit activity. Further, Iran’s good faith isn’t assumed. Should Tehran be found in breach of the agreement, the suite of UN sanctions that had crippled Iran’s economy in the preceding years will automatically ‘snap back’ into place, and countries such as China and Russia would have no veto to prevent that occurring. Even so, Trump’s decision to withdraw from the deal is not entirely irrational on either non-proliferation or broader geostrategic grounds. The high-water mark for any deal with Iran would have been complete denuclearisation. What was achieved instead was a postponement of the problem for 10–15 years, in return for the lifting of most UN, EU and US sanctions. In the meantime, Iran’s nuclear scientists are still allowed to conduct advanced centrifuge research and development, the UN‑endorsed heavy arms embargo will be lifted in five years, and the ‘snapback’ mechanism will expire in 10 years. A further key omission in the JCPOA is the failure to link Iran’s nuclear and ballistic missile capabilities, even though the means of delivery is as important as the weapon itself. The deal itself doesn’t directly set limits on Iran’s ballistic missile program. UN Security Council Resolution 2231 that endorsed the deal merely ‘calls upon’ rather than requires that Iran refrain from testing nuclear-capable ballistic missiles for eight years. 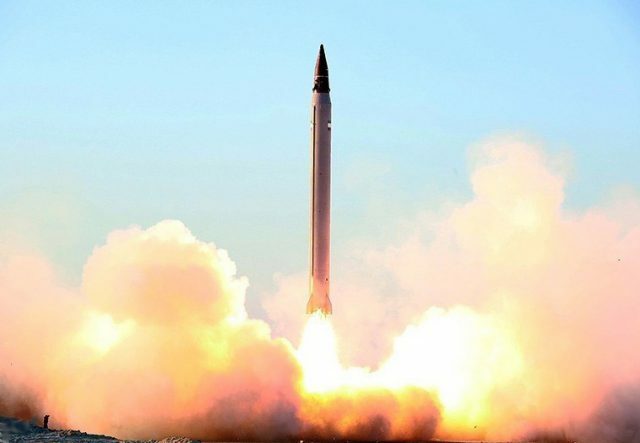 Iran has, however, shown little restraint, testing as many as 23 short- and medium-range missiles since the deal was struck, many of which the US, France, Germany and Britain argue are ‘inherently capable of delivering nuclear weapons’. In short, the nuclear deal only partially rolls back and freezes Iran’s nuclear program. When it expires, the US and its allies will likely face an Iran with the ability to deliver a nuclear weapon via a medium-range missile within one year. Given the prospect of further Iranian satellite launch vehicle testing, there’s a possibility that within this time frame Tehran may even have an intercontinental delivery system. Meanwhile, Iran’s behaviour has done little to allay concerns that it will indeed restart its nuclear weapons program once the constraints of the deal end. The immediate lifting of sanctions was meant to usher in a new period of more cooperative relations between the US and Iran. The lure of access to export markets and foreign direct investment was predicted to dampen Iran’s pursuit of regional hegemony, and greater economic prosperity would support moderate forces within the country. However, this hoped-for transformation in Iranian foreign policy hasn’t eventuated. Tehran has taken advantage of political turmoil and power vacuums in neighbouring countries, acting against US interests not only by providing military support to Bashar al-Assad in Syria, but also by extending its influence in Bahrain, Lebanon, Iraq and Yemen. Such behaviour has vindicated Republican Party critics of the deal in the US, who argued that Tehran would use its newfound access to hard currency to pursue its long-standing expansionist aims in the Middle East. Sticking with the nuclear deal is based on the flawed assumption that Iranian foreign policy is amenable to change. It allows Iran to maintain a latent nuclear weapons capability, regain its economic and military strength, and use that to undermine US foreign policy objectives in the region. While many hoped that Donald Trump would stick with the nuclear deal, and lead negotiations on a separate agreement to restrain Iran’s ballistic missile program, the very existence of the JCPOA constrains Trump’s ability to do so. Iran argues that its ballistic missile programs are purely defensive, and that any sanctions applied to it would be in breach of the nuclear deal and constitute grounds for its withdrawal. Thus, the US had two choices: stick with the nuclear deal or start again, this time using a ‘maximum pressure’ campaign to drive Iran to the bargaining table under the threat of a return to oil and secondary sanctions. While the success of such a strategy is far from certain, it appears to have worked well so far with North Korea. No doubt Trump predicts that Iran too will have to re-evaluate the benefits versus the costs of its nuclear hedging strategy. Lavina Lee is Senior Lecturer in International Relations in the Department of Modern History, Politics and International Relations at Macquarie University. Image courtesy Tasnim News Agency via Wikimedia Commons.